The wild stream Muota is well-suited for wild water adventures. 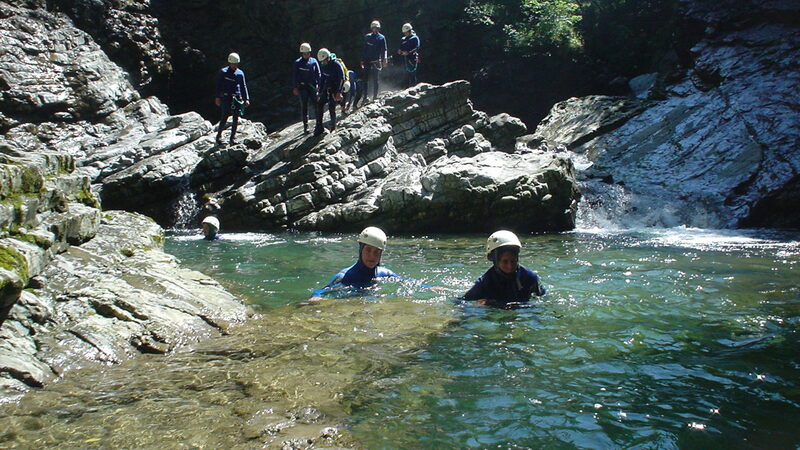 Canoeing and canyoning will raise your adrenalin level. The Muota scenically flows through the valley. However, it also has a wild side. 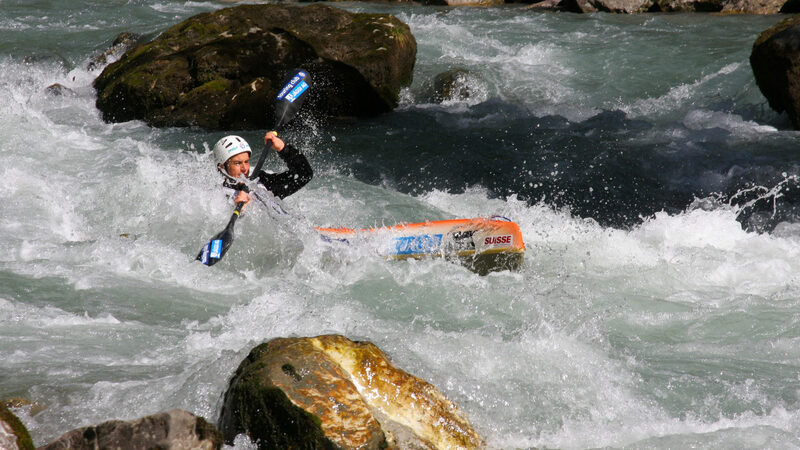 The wild water stream is a regular venue for world championships and world cups in canoeing. Experienced canoeists go out alone on the Muota. Less experienced adventurers can trust in a guide who knows the local conditions well. Away from everyday life and stress, you can experience a natural activity of a different kind. The Muota is well-suited for beginners and adolescents from the age of 14 years onwards. Set off into an adventure where safety comes first. 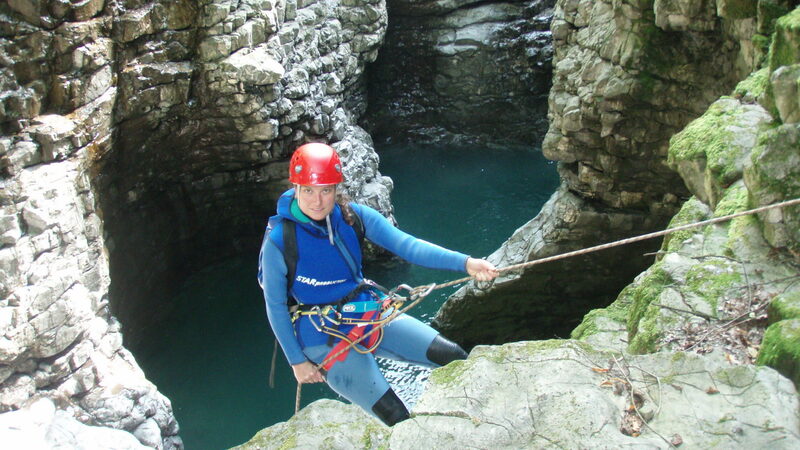 Canyoning means sliding down eroded rocks, jumping into crystal-clear basins and crossing small abseil sections. You will be reminiscing about these thrilling experiences with your friends and colleagues for a long time. 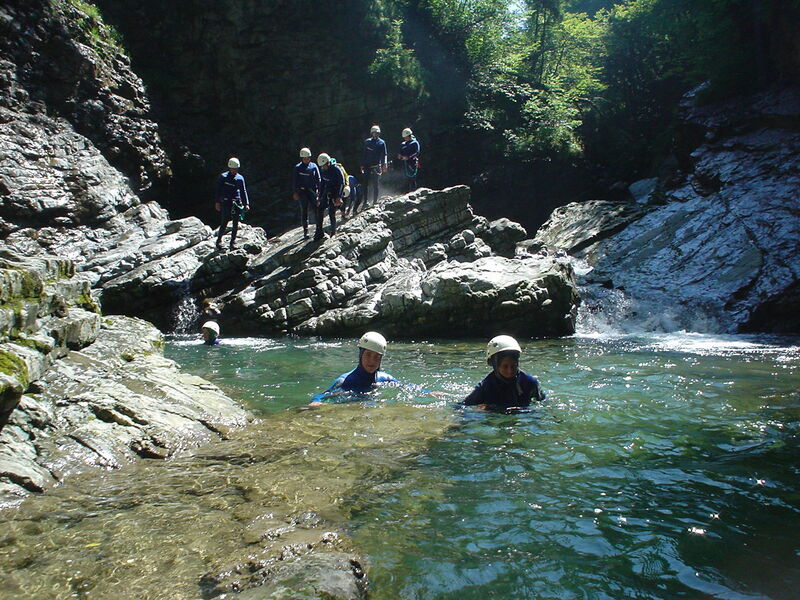 This Muota adventure is especially suited for beginners. 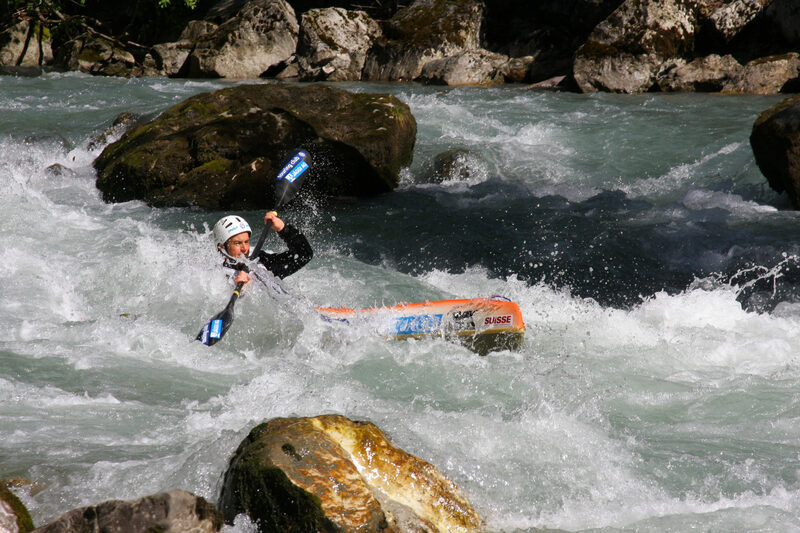 The Muota, a whitewater river, is well-known among experienced canoeists far beyond the border! From the slopes between Schächentaler-Windgällen (2764 m) and the Ortstock (2,717 m) the creeks that feed the wild river Muota and captivate sports enthusiasts gather in the border zone of the cantons of Uri, Glarus and Schwyz. At the other end of the Muotatal, the river first flows through an undriveable gorge (Schlattli), then into a dammed up stream bed through the plane of Ibach and then past Brunnen into Lake Lucerne. The Muota and its side waters are used for producing electricity. The hydroelectric powerplants – but also sudden storms – can make streams and rivers rise very quickly.